Spray There are 122 products. 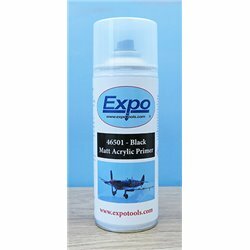 Matt Black 400ml Expo Acrylic Model Primer Ideal to achieve a superior finish on all models. Use as a base coat to improve the finish and longevity of you final paint coat. 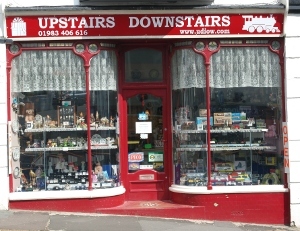 Perfect for ironing out small imperfections in metal or plastic models. 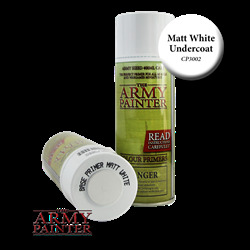 Matt White base primer - Spray can Very fine pigment. 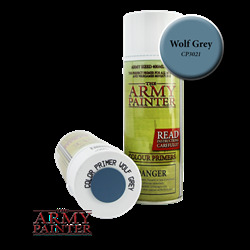 Colour Primer - Wolf Grey Greyish blue colour for spaces monsters or as a great alternative to blue. 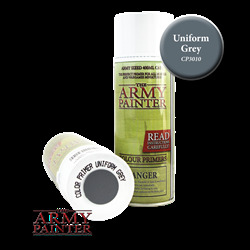 Colour Primer - Uniform Grey Ideal spray for historical miniatures and those savage Space Wolves or guardsmen. 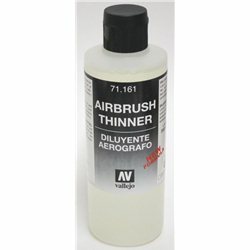 Model Air - Airbrush Thinner Bottle de 200 ml. 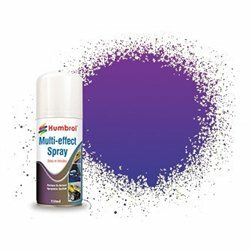 Violet Multi-Effect Spray - 150ml Acrylic Spray Paint Used to create multi-effect or flip colour effects. Green Multi-Effect Spray - 150ml Acrylic Spray Paint Used to create multi-effect or flip colour effects. Blue Multi-Effect Spray - 150ml Acrylic Spray Paint Used to create multi-effect or flip colour effects. Red Multi-Effect Spray - 150ml Acrylic Spray Paint Used to create multi-effect or flip colour effects. Gold Multi-Effect Spray - 150ml Acrylic Spray Paint Used to create multi-effect or flip colour effects. 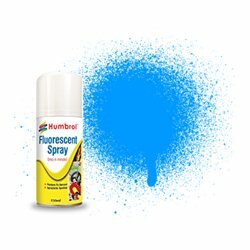 Fluorescent Blue - 150ml Acrylic Spray Paint Creates instant visibility, ideal for identification and safety as well as decorative and craft projects. Also glows under UV light. Fluorescent Orange - 150ml Acrylic Spray Paint Creates instant visibility, ideal for identification and safety as well as decorative and craft projects. Also glows under UV light.